Muncie, IN—One of the most stressful times in a person’s life may be when they become disabled to the point of being unable to work and unable to support themselves and their family. The Social Security Administration has two programs that you may be eligible to utilize to help provide income for you and your family: the Social Security Disability Insurance program (SSDI) and the Supplemental Security Income program (SSI). The process is often times very lengthy and very confusing for people to navigate. Due to the difficulties in the application and appeal process many people put off applying for these programs. It is important to begin the process as soon as you can. Depending on which program that you are eligible for, the date of application can affect your back pay if you are denied in the beginning, but later approved. There are distinct di fferences with both programs. SSDI is like any other “insurance” type program. It is intended for people who have worked and contributed to the federal disability benefit program. This contributions could come from a number of sources such as FICA, withholdings or self-employment taxes. There are requirements regarding how much you have had to work and contributed to the program before approval. There are also requirements about how long it has been since you have made contributions to the federal disability benefit program. SSI is a program aimed towards people with limited or no work history. There are two major requirements for this program that applicants have to meet. The first is that they require an asset limitation of $2000 for a single person and $3000 for a married couple. The second is a complete assessment of all income, which is any earned wages and any unearned income such as gifts. The monthly benefit can change due to the recipient’s income for any given month. A person who believes that they are qualified to receive either SSDI or SSI is able to apply for these programs online or in-person on their own. The application requests a work history as well as a medical history to help the Social Security Agency in their determination. The more thorough the application the quicker the Agency is able to make a determination due to having all the documents they need up front. If the applicant is denied they are able to ask for a reconsideration of the file, which will also result in either approval or denial. If it is denied in the reconsideration phase then the next step would be to appeal the decision to an Administrative Law Judge (ALJ). The ALJ is a judge that hear disputes between governmental agencies and claimants. This proceeding is handled like any other trial where both sides are able to present their evidence for the judge to make a determination. If the ALJ denies the applicant then the claim can be appealed to the Appeals Council, where a brief is submitted with your arguments. The Appeals Council has three options: it can uphold the decision of the ALJ, remand the case for a new hearing or reverse the decision. If the Appeals Council upholds the ALJ decision the next step is to appeal to the U.S. District Court. Navigating through the Social Security Disability process can be daunting and challenging. It is important to have an attorney who is well versed in working to get you through it. The attorneys at Beasley & Gilkison, LLP are able to help guide you through this difficult time. 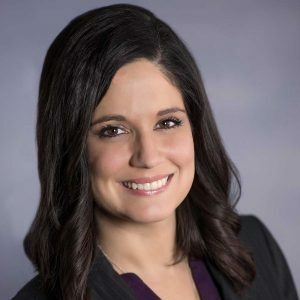 About the author: Stephanie L. Hoover is a graduate of Wes-Del High School, Saint Mary’s College, and Valparaiso University School of Law.